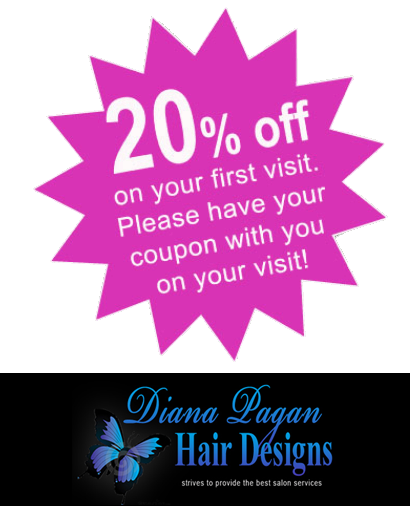 Let Diana Pagan Hair Designs give you a new look. Make an appointment today. Welcome. 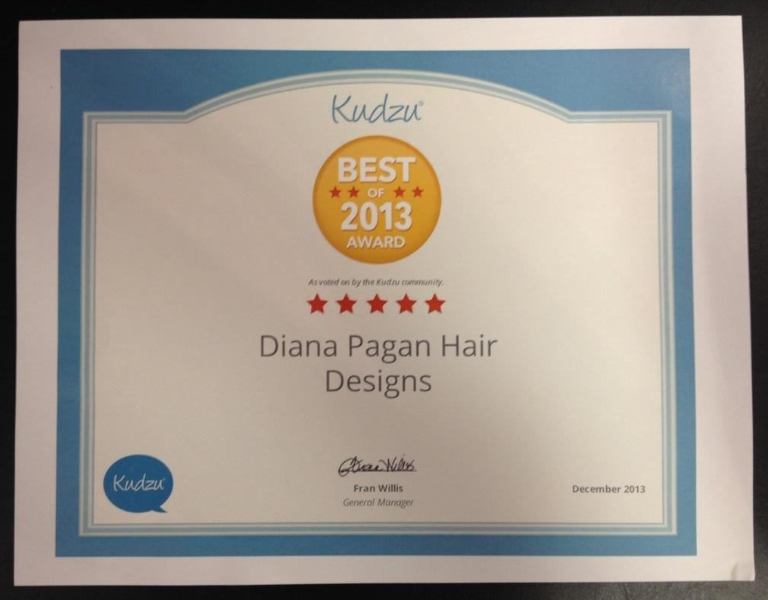 At our Dunwoody Hair Salon, Hair designer Diana Pagan strives to provide the best salon services in the Dunwoody, Atlanta area. From the moment they walk through the door to the moment they leave, each of Diana Pagan’s clients receive a completely customized experience in addition to Diana’s undivided attention. Upon meeting Diana, clients sit down for a glass of wine or a cup of coffee or hot tea during a one-on-one consultation to determine the best style options for the client. Throughout the consultation Diana listens intently to her client’s desires and preferences, while also taking into consideration the individual’s particular features and face shape. Combining her own expertise with the specific vision expressed by the client, Diana then guides each client in choosing a hair cut and color that suits his or her individual style. From fashionable, fun and funky, to conservative and sophisticated, Diana’s versatility and wide range of experiences allow her to relate to each unique individual that walks through the door. Working with both men and women and all types and textures of hair, Diana is proficient with quick color techniques, detailed, custom haircuts, hair color, Highlights, color correction, keratin treatments, relaxers, hair straightenters and hair extensions.. Diana makes it her constant goal to create the ultimate hair experience for each individual that sits in her chair.